As for me, I have often said that if dropping my phone without it breaking were an Olympic event, I would win gold every time. While winning gold in swimming or by keeping your phone intact are both amazing feats in their own ways :), it doesn’t change the world or make a difference in someone’s life in the long run. The one thing we all have the ability to do is win gold by the way we live our lives and by the way we treat those we are in contact with every day. And it is that gold medal that will change the world, those around you, and even yourself. 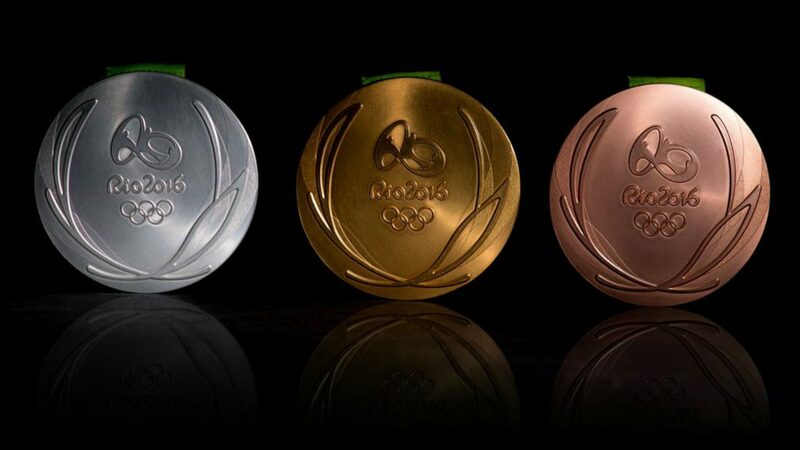 Competing in the race God has set before you, would you win a gold, silver, or bronze medal? Is it possible you would miss the podium altogether? What we know about Olympians is that the athletes don’t just show up and win a medal. It takes hard work, dedication, discipline, and perseverance. The same is true of the race God has set before us. If you’re not running the race at a gold medal pace, what do you need to do today to strengthen your training regime? There are speed bumps, detours, and traffic jams, but we are never out of medal contention when we keep our eye on the One who sets the race.